As more and more Chinese enterprises expand into Africa, there has been increasing interest in China’s economic activities in the continent. As well as positive feedback, there have also been some negative comments, with China having been accused of neo-colonialism, of grabbing resources and dumping low-quality products. Such criticism is the opposite of how most African people see it. Massive investment in Africa has not only led to economic benefits for Chinese enterprises; it has also provided growth momentum for African countries. It is a win-win situation for the development of China and Africa, and for the Sino-African relationship. As investment from Chinese enterprises has grown more sophisticated, relevant experience can be shared for future endeavors. First, Chinese enterprises can increase their benefits by adapting to the economic situation in Africa. China and Africa are complementary in industry because China, as the world’s top manufacturer, funds a large portion of manufacturing in Africa. Also, Chinese enterprises generally have cost advantages over Western multinational corporations, which can help Chinese enterprises expand their local market share. In addition, Chinese enterprises run their businesses pragmatically, and do not attempt to intervene in host governments’ politics. Second, the Chinese government and Chinese enterprises have developed a unique model for development in Africa. The Chinese government has provided the momentum for its enterprises to undertake business operations in Africa as China sincerely wants to see Africa prosper. Without support and encouragement from the Chinese government, Chinese enterprises wouldn’t have been so active in investing in Africa. The Chinese government has aided African countries through investing in infrastructure projects, and through enhancing the quality of local labor force via assisting education, job training and improving medical facility. Subsequently, Chinese enterprises could become involved in such projects to seek better development opportunities. In fact, African nations welcome such development because it is beneficial for them to enhance local infrastructure. Also, if somehow Chinese enterprises has violated local policies, the Chinese government will properly regulated such enterprises’ behavior, especially State-owned ones. Third, investment in Africa by Chinese firms is supported by China’s finance sector. Domestic financial institutions have enhanced financing channels and expanded financial support for Chinese enterprises’ investment in Africa. Meanwhile, a variety of forms of finance in China – such as policy-based finance, development finance, commercial finance and concessional loans – all have their own polices to support such investment. Following the establishment of the China-Africa Development Fund, the China Investment Corporation (CIC), a wholly State-owned company founded in 2007, has also established a subsidiary called CIC Capital Corporation in January 2015 to actively encourage Chinese enterprises to enter Africa through means of equity investment and debt financing. Despite all the positive steps forward, there is still room for improvement in Chinese investment in Africa, and certain strategies should be considered. The first is to develop a win-win mindset. Chinese enterprises should strengthen communication among themselves, create synergies for investment opportunities and avoid unhealthy competition. 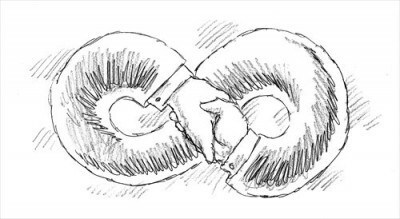 In addition, Chinese enterprises should try to carry out third-party cooperation in Africa with multinational corporations of other countries in order to become a community of shared interests and diversify risks. Second, Chinese enterprises could improve their local business operation. If possible, Chinese companies could provide training for more local employees and hire more people from the local labor force, so that the investment model could cover the full industrial chain locally and drive local economic growth. Third, Chinese companies should increase awareness about protecting the local environment. In this regard, they must strictly abide by local laws and regulations, avoid disorderly development of resources, and spare no effort in promoting green development. And last, Chinese enterprises should strengthen their social responsibility in handling relations with other stakeholders including local media organizations, communities and unions, industry associations, and non-government organizations. Chinese enterprises could also participate in programs like poverty relief and education.